Lip service has been paid for long enough about gender diversity in ASX-listed boardrooms. There has been plenty of talkie talkie about Quota’s, 30 Percent Club’s, exclusive Mentoring programs offered as a cure-all to aspiring female board members from more experienced ASX Chairman and Board Directors. Yet the numbers still don’t stack up and let me just say I don’t believe that we are making a lot of progress towards equal representation in the ASX-listed environments. Enough is enough! There are 3 main reasons why there are not more women in the Boardroom’s in the top ASX companies and unless we make significant change in these areas, there will never be true gender diversity. Get ready to be shocked. 1. The Board Search recruitment process is flawed. It has been for 40+ years. The same old executive search firms and search consultants are conducting the majority of the searches for ASX-listed board appointments. They keep recommending the old guard, the traditional type of board candidates, and quite frankly the old school network does exist and is thriving. From time-to-time a few token females are put into the recruitment mix, but there is not a genuine effort being made to refresh the board director talent pool and place focus on skills diversity by the executive search firms. Until we start to change the criteria for female board director candidates to allow for great emphasis to be placed on Executive Director level experience versus CXO-level experience, we are setting women up for failure. The old way of assembling board directors is flawed, we need to be looking at younger candidates and focus on their experience, skills and capabilities. I liken it to golfing tees, we need to allow women the opportunity to hit off from a closer tee and make this the new paradigm. Once we do this, we circumvent the very boring argument that there are not enough talented dynamic female board director candidates available. This is a fallacy. 2. There is a ‘Golden Skirt’ phenomenon in Australia which has been identified in other parts of the world which have pursued quota’s. 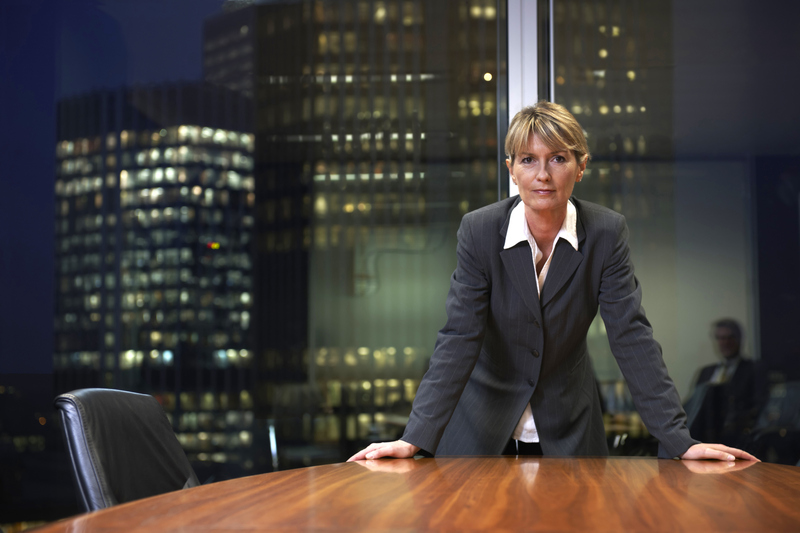 Essentially, there is a very small group of female directors that are represented in our ASX-listed environments and they hold multiple board director appointments. This has come about due to the pressure that publicly-listed Boards have been under to be perceived as addressing gender diversity issues. But in attempting to do so, they have not sourced directors outside of the existing talent pool and we are actually no better off in terms of true gender diversity. This phenomenon skews the numbers and creates the false illusion that we are actually making progress, but of course we haven’t made very much progress at all. 3. My final point here is going to upset a few of you, but the final ‘real’ reason that there are not more females in ASX-listed environments in my opinion is because women are being risk averse, overly concerned about their reputation and are waiting for the perfect first board appointment/s. Female directors are being encouraged to settle for ‘easy wins’ by taking board seats in the Not-For-Profits, Arts and Community in the vague hope that it will all magically lead to a commercially viable board career and that these types of appointments will build up to the majors. Women are hanging out with too many other aspiring female board directors, crying into their latte’s about the need for quota’s and 30 percent clubs. Snap out of it. If you want to have a successful ASX-listed board career take some risks and start serving on early-stage, high potential commercial private and unlisted public entities. Look for the hidden gem in the market, the pre-IPO private business. Back yourself and back the companies that you join. Build up your business networks in the high net worth, private equity, venture capital, family office and angel investor space. Prove yourself in these complex but exciting business environments and you will reap the rewards. It is not for the faint-hearted but serving on these boards are rewarding and a proven mechanism to fast-track your board director experience. Director Institute www.directorinstitute.com.au is the fastest growing network of board directors in Australia. We have the largest number of exclusive paid board director opportunities available anywhere in the market. In the months of April and May, I am conducting a limited number of no-obligation meetings to assess your board director potential and board search strategy. Please contact Kylie Hammond via my LinkedIn profile.